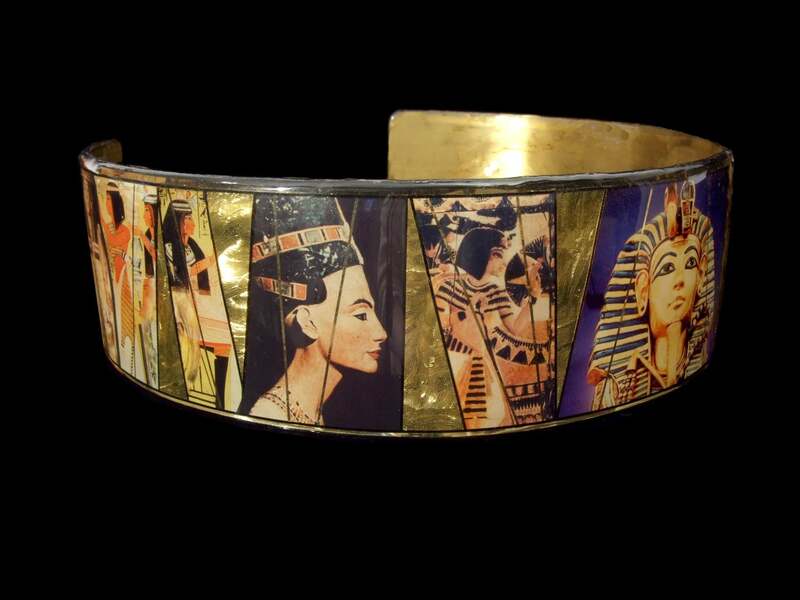 This high fashion wraparound belt features images of ancient Egyptian artifacts and Fine Arts! It is 4.5 inches wide and 28 inches long, with a tie to make it adjustable. Accented with gold foil and black trim, this belt is the perfect statement piece for any ensemble! This piece also makes a great gift for any occasion!